The Southern Maine Community Recreation Center, known as Gorham Sports Center or “Your Space”, is a large indoor sports facility available for rent year-round for sporting events and team practices, birthday parties, school and corporate events, private celebrations with friends and family, and more. We take pride in maintaining a safe, modern, all-inclusive and friendly facility where people of all ages can have fun, exercise, and improve their playing skills. 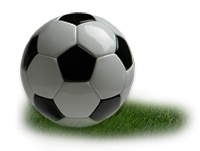 We also host our own indoor soccer leagues, tournaments, and skill-building programs. We are hosting another round in February and March, 2019! Spots are first-come, first serve, and will fill up fast, so please get your team in early! A $100, non-refundable deposit is required to secure a spot. GSC features a large (239’x166′) open-style turf field with no dasher boards or nets to restrict play and is often regarded as the best indoor playing surface in the region. We take great pride in our playing surface and we clean, fluff, and disinfected it regularly. Play inside out of the elements year-round. Never miss another game due to rain! Everything we receive goes back into to keeping our facility open. By renting the field, buying our food, playing, or attending an event here at GSC, you are supporting a community resource for all ages for years to come!